Since this lens are 14.2mm there isnt much noticeable enlargement effect but more of a subtle and natural enlargement effect. Those are beautiful lenses! I quite like them. So mesmorizing...love these colors. You look beautiful as always. Oh wow, I love the design. You look really pretty with them and I love your eyemake! :) It's a pit they're not vibrant to your liking. Even though it had a sort of down rating form you, you still look awfully beautiful. i love your eye makeup here...those are my favorite colors. can you do a tutorial...? I like your eyeshadow's color! wow the color is amazing! loved the color combi you used here.. These are the most stunning lenses, ever! So gorgeous! 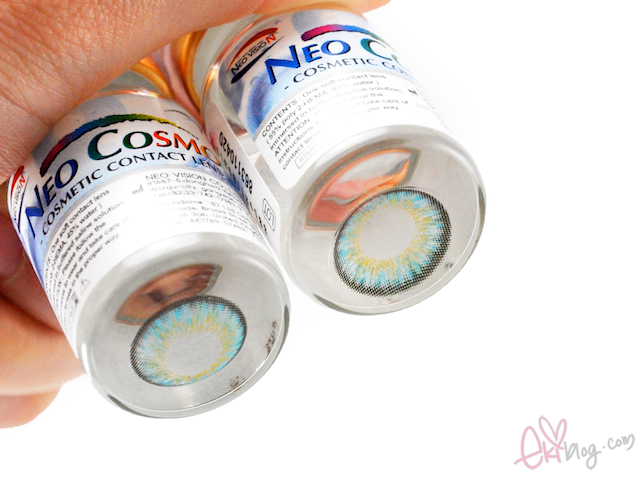 the blue contact looks amazing on you! Absolutely love the colour of the lenses and your make up^^ But too bad that the lenses weren't as vibrant in person as in the pictures. The lenses are amazing! The color *_____*" not that fond of the pattern, but overall they look great on you. My mom thinks your eye-lining skills are AWESOME btw ; D Hehe, she's peeking over my shoulder here.. I want a tutorial on that eye makeup too~ just fabulous, Eki bb! I LOVE the depth of the colours here! :) I always wear brown or grey shades though I've bought a pink one I have yet to try! I'm too scared to venture out to brighter colours. Worried they won't look right on me! They look great on you though. You can wear EVERY colour! The makeup is gorgeous! 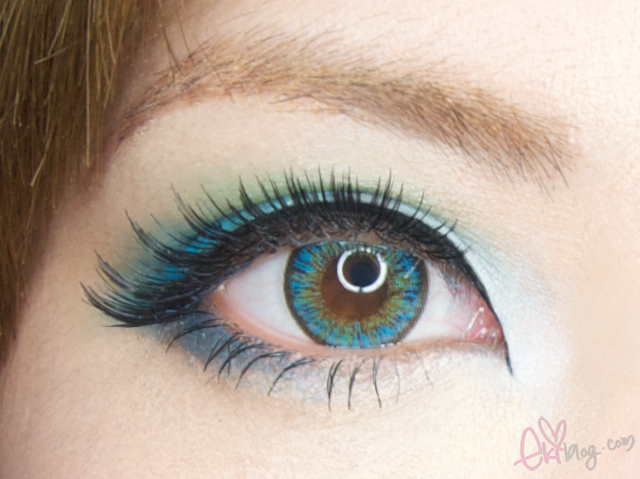 But I think it is very difficult to get a vibrant aquaa to show up on dark eyes, I myself purchased a turquoise one but in the end I had the same result as you too T^T Oh well, at least it shows up in pictures! Thank you for the review! Absolutely gorgeous as usual Eki, hope to see a makeup tutorial on your channel, your look is perfect with these lenses. You're absolutely right. The color is beautiful but it loses a lot of vibrancy against darker eyes. 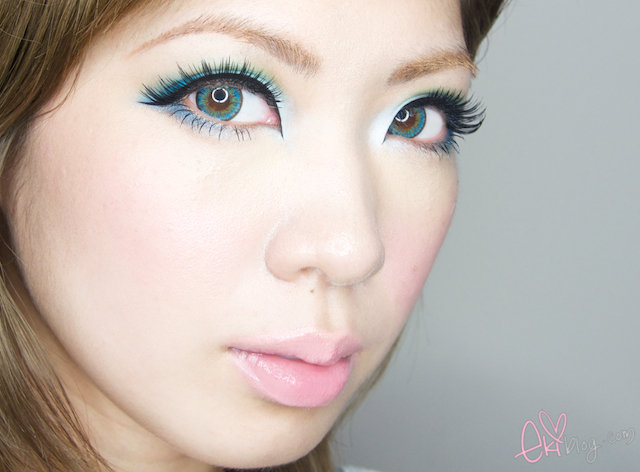 Given that circle lenses are meant for darker eyes it seems kind of silly. Too bad! perfect! i love the lens, it gorgeouuuuuuuuuuuuuuuuuuuus! wow, you look stunning in everysingle lens... expecially this beautiful blue. Would you PLEAAASE review the princess mimi chocolate brown? ?